This summer, your home is due for a refresh. After you’ve painstakingly cleared the dust bunnies and detritus, it’s time to open the windows wide and take a good look around to see where there’s room for a little more style. 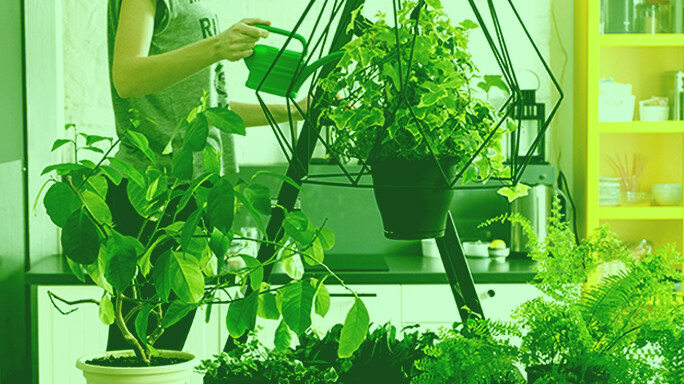 Summer is all about fun, so we love the idea of adding more color and pattern and more plants to make a space feel more vibrant and alive. These DIY design trends are easy to pull off if you’re itching to give your home a makeover. Wallpaper is the easiest way to give a room a big makeover, but it’s awfully permanent, which can be a challenge for renters and the commitment-phobic. That’s why we love peel-and-stick wallpaper. It enables you to play with fun, bold designs without having to worry about getting your deposit back. Whether you’re opting for a fun chalkboard wall in the kitchen, something vibrant and colorful in the bathroom or a bold botanical accent wall in the living room, removable wallpaper can achieve it. Indoor plants are totally making a comeback, and these days it’s wise to err on the side of huge and plentiful. We’re not talking a pot of parsley on the windowsill here — we’re talking cascades of green ivy trailing from the top of your bookcase and Monstera deliciosa making your living room feel like it’s nestled in the rainforest. 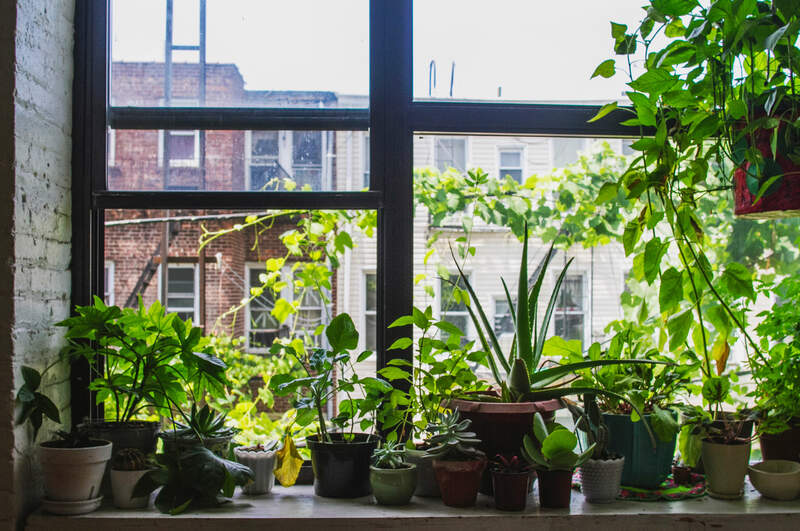 Look up plants that are easy to grow indoors, and you’ll reap the benefits twofold. Not only will your space look lush and lively, but you’ll also have better air quality in your home. If you’re a little gardening-shy, you can opt for realistic faux plants instead. A paradise palm or bamboo tree can add a big impact, and you won’t have to worry about remembering to water them! Most succulents and cacti can stand up to the full summer sun and don’t require a lot of water, making them an eco-friendly design accent. Try making a succulent terrarium for your patio or porch that can be taken inside once the weather turns cool again. Just get a decorative glass container that has plenty of airflow, line the bottom with rocks and a cactus potting mix, and plant away. You can use mini succulents to create a patchwork look or choose a couple of larger specimens that you want to stand out. Geometric accents are everywhere these days, from area rugs and wallpaper to wine bottle racks, light fixtures and mirrors. Give your home a mini modern makeover by bringing in some geometric accents. 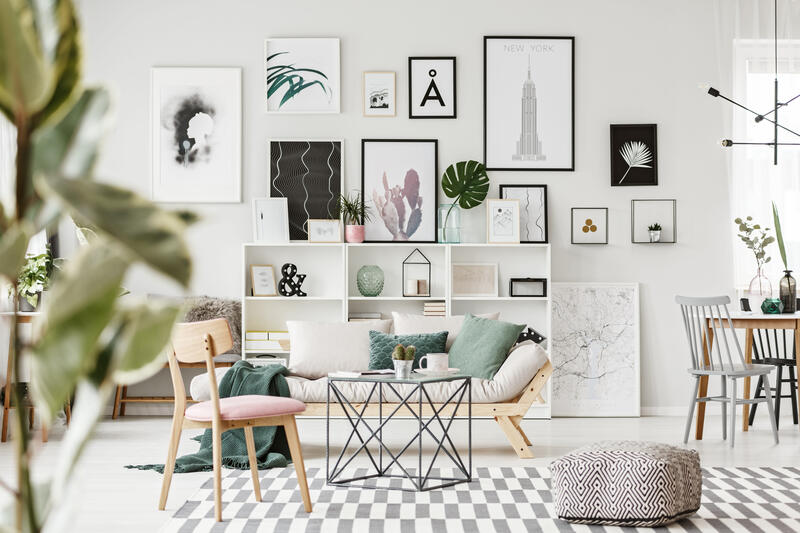 It can help give your interior design a feeling of structure, and metal geometric pieces look great in minimalist and mid-century modern spaces. If you’re looking for a new summer hobby, macramé is it. You’ll wind up with tons of fashionable hangers for your new plants, and the things you weave make great gifts, too. All you need to get started is some rope, and you can find thorough tutorials on YouTube. Or, you know, just buy one already made. This ’70s trend is back in a big way, so don’t be surprised if your friends see your macramé plant hangers and ask you to make them one. The kitchen should be functional first and foremost, but too often, people forget to add design touches to it, making the kitchen one of the more boring rooms in the house. Add life to yours by bringing some colorful serving dishes to the table, or swapping out your boring old utensil holder for a colorful ceramic vase. Do a bold-patterned accent wall, hang some large-scale art or even paint your fridge. Once your kitchen becomes a stylistically fun room, you may find yourself becoming more excited at the prospect of cooking dinner … or even doing dishes. Try out one of these DIY design ideas, and your home will finally feel summer-ready.